Adam Abrahams is a graduate of Georgetown University Law Center in Washington, D.C., where he received an LL.M in taxation. Adam has over 18 years of substantive legal experience in the areas of taxation, commercial litigation, corporate, probate, real estate law and title insurance. Prior to receiving his LL.M., Adam was National Commercial and Underwriting Counsel for a national title insurance (Fortune 300) company, routinely closing multi-million dollar commercial real estate transactions. Throughout his legal career, Adam has been invited to speak by numerous law firms and organizations, and in 2014 has conducted presentations on Tax Issues in Divorce proceedings, Formation of Business Entities, Digital Estate Planning and several other estate planning topics. 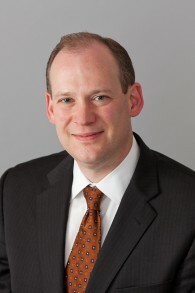 Adam is licensed in Maryland, the District of Columbia and Ohio. Additionally, Adam is admitted to practice in the Federal District Court for the Northern District of Ohio, the Federal 6th Circuit Court of Appeals, the United States Tax Court, and the United States Supreme Court (see press release). Adam Abrahams has published an Article on Irrevocable Life Insurance Trusts in The Practical Tax Lawyer (Summer, 2013) and ABA Section of Taxation News Quarterly (Summer, 2013). Irrevocable Life Insurance Trusts as an Effective Estate Tax Reduction Technique which can be viewed here.